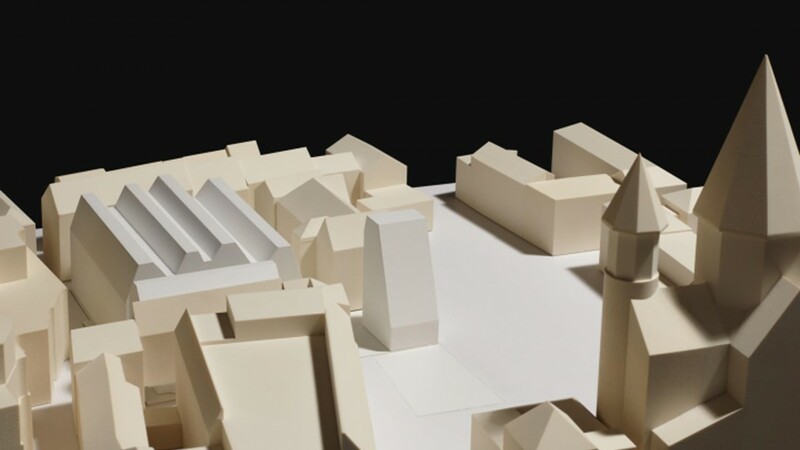 1st prize in the non-open, two-phase planning competition with 12 participants. 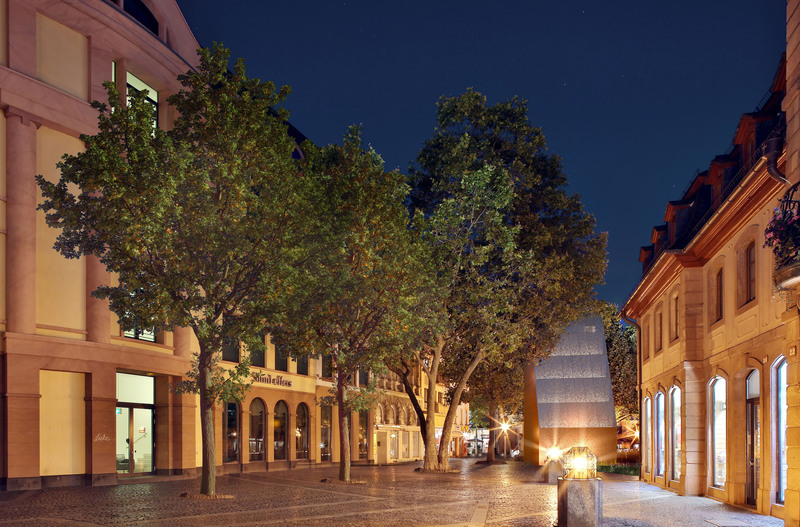 Located in the centre of the old city of Mainz, the Gutenberg Museum has been recognised as a world-class museum of printing since 1962. 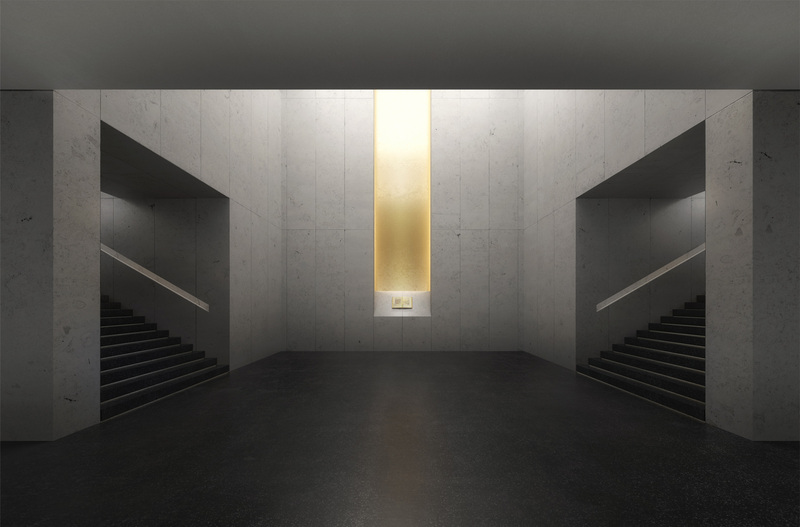 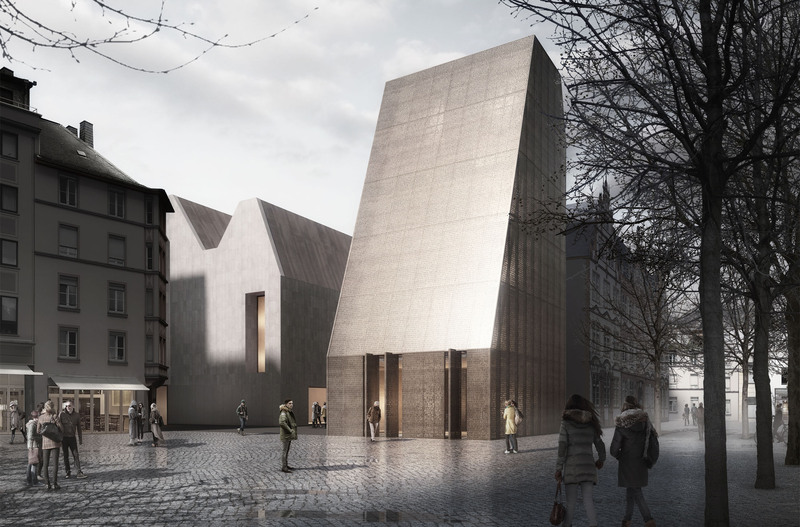 The focus of the competition is the restructuring of the exhibition and function space, as well as the expansion of the museum itself. 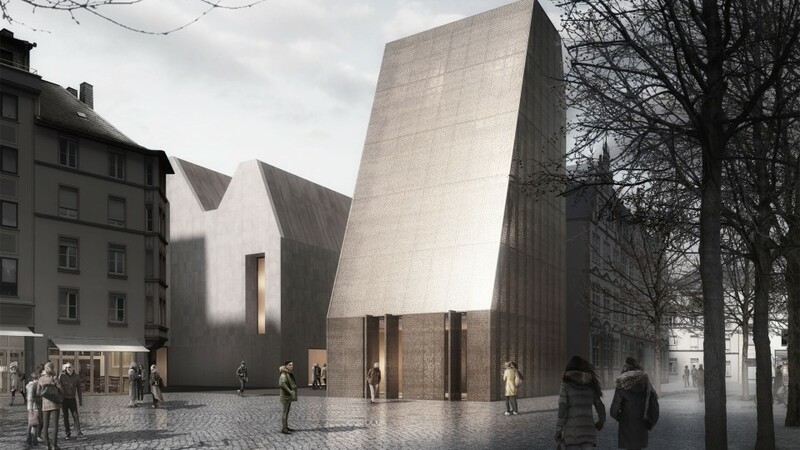 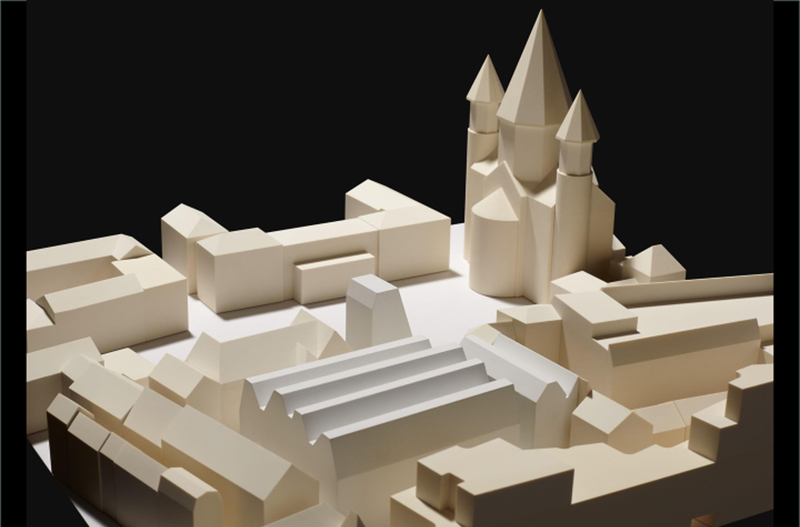 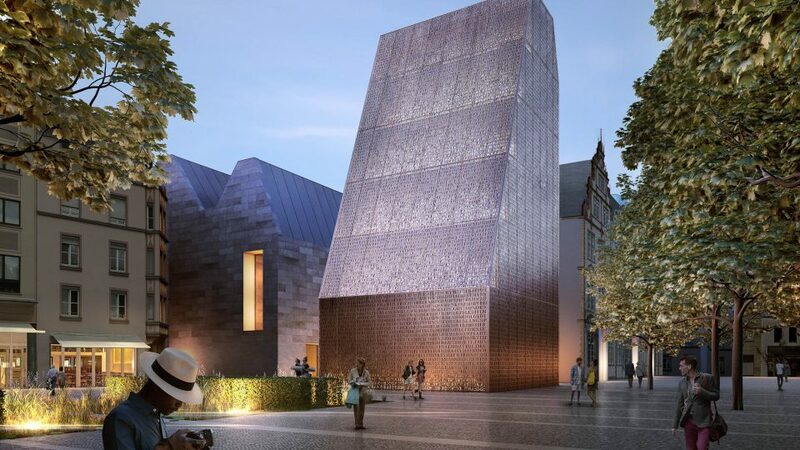 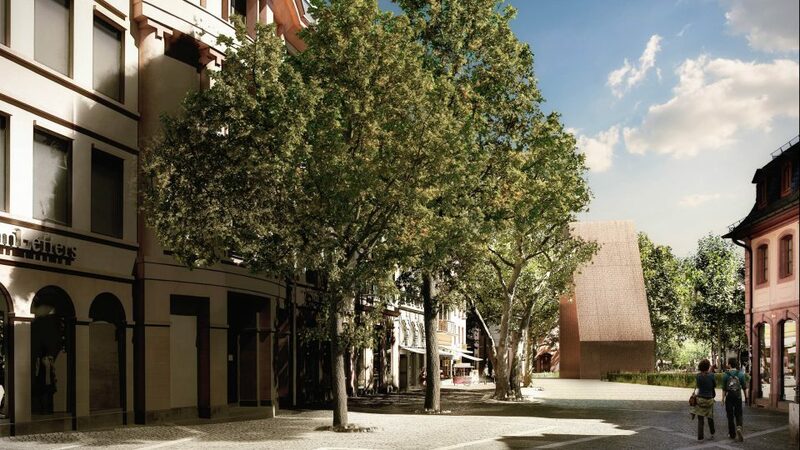 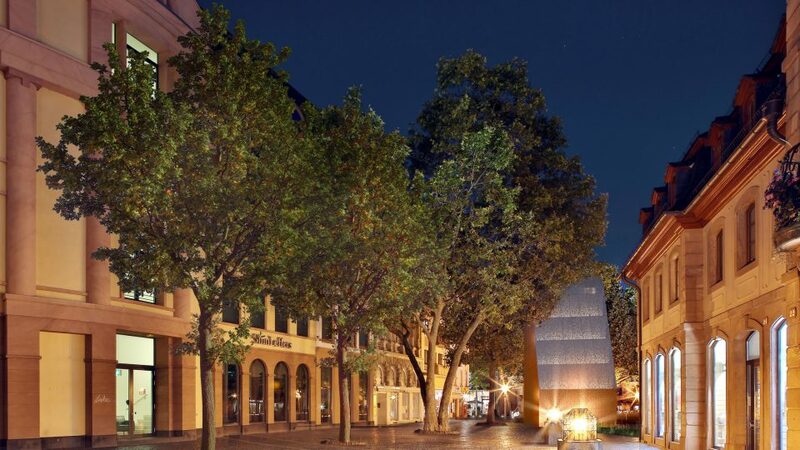 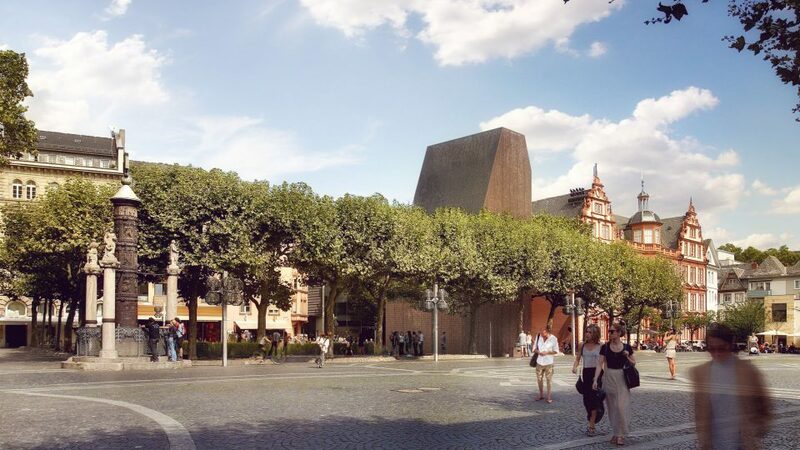 The future appearance of the museum, with its unique location in the immediate vicinity of Mainz Cathedral, should meet high urban planning standards as the new attraction of the old town. 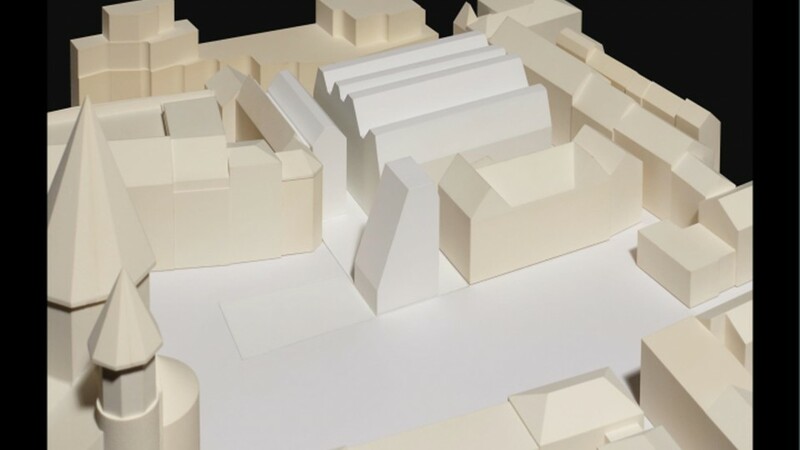 The museum complex currently consists of three existing buildings on the almost square site plan. 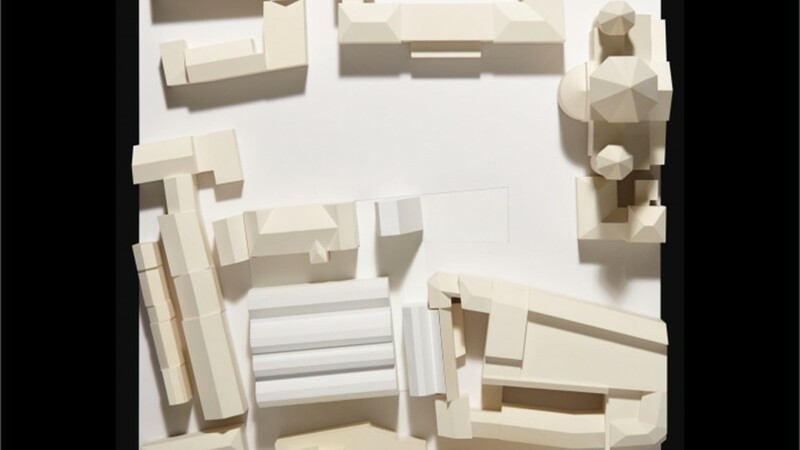 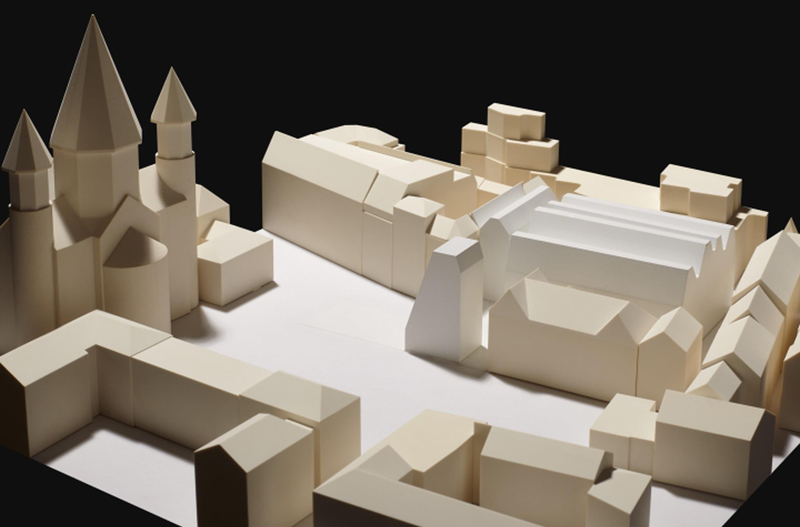 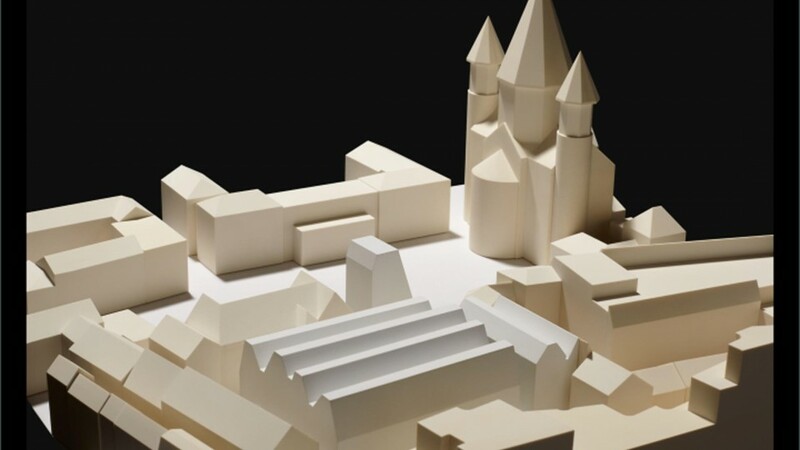 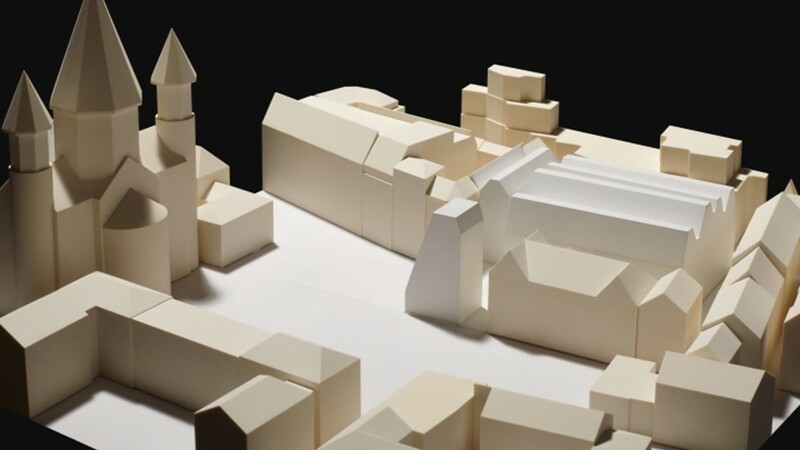 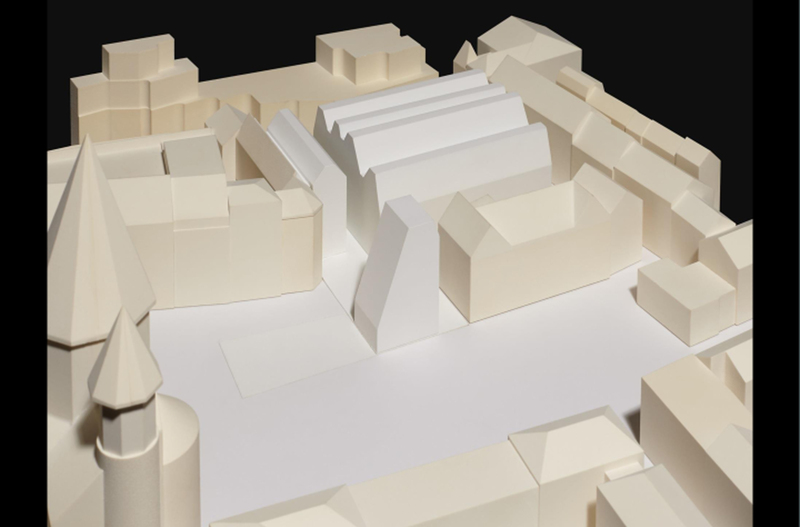 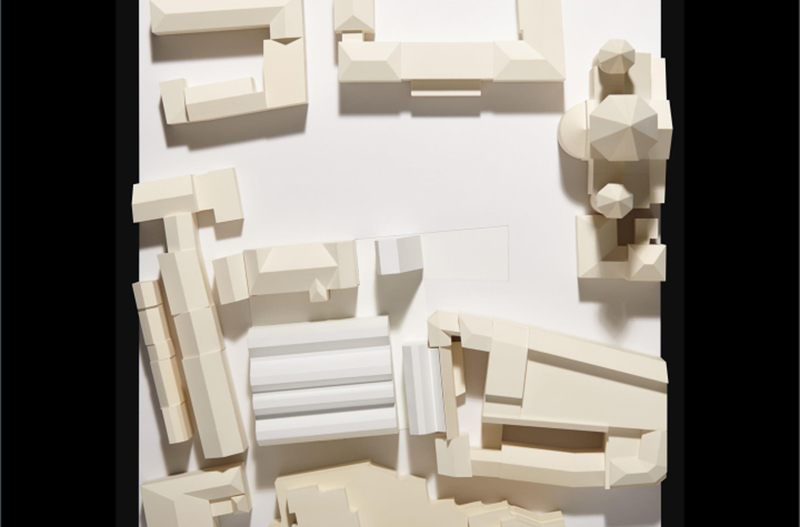 By adding another building, reshaping the roofscape of the so-called Schell building and removing the connecting building, an open structure of solitaires is created: a welcoming forum for culture and science in the heart of the city. 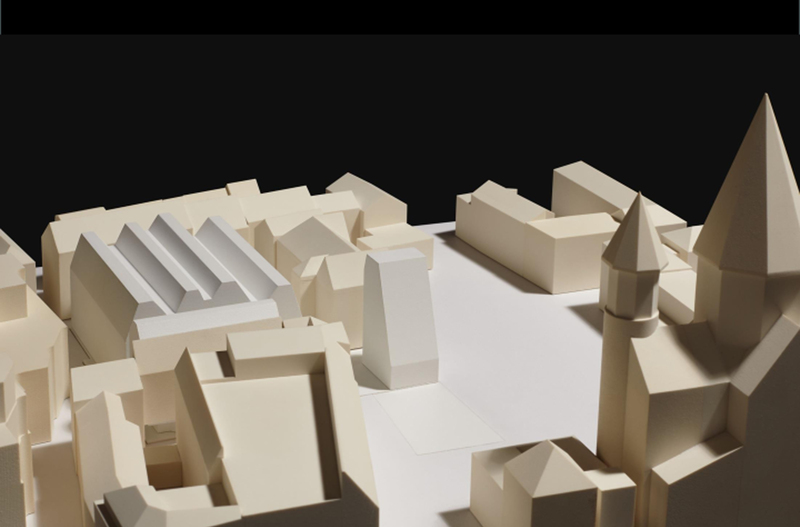 In the first construction phase the three existing buildings are to be complemented by a new building – the library tower. 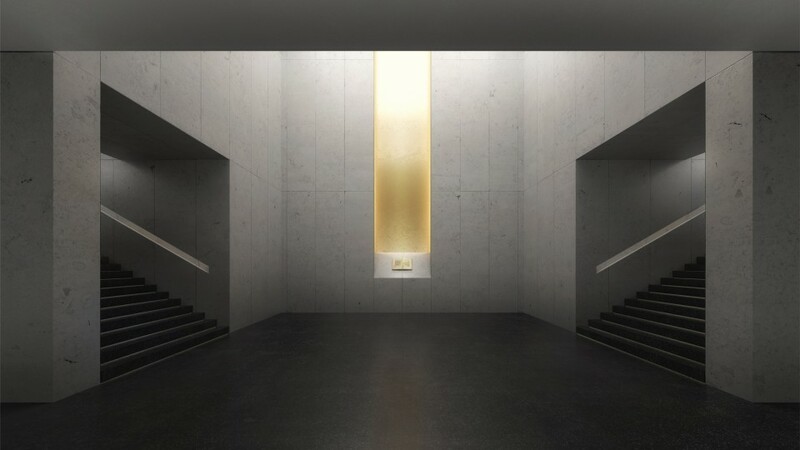 This upward-tapering building houses the library and features book and reading lounges. 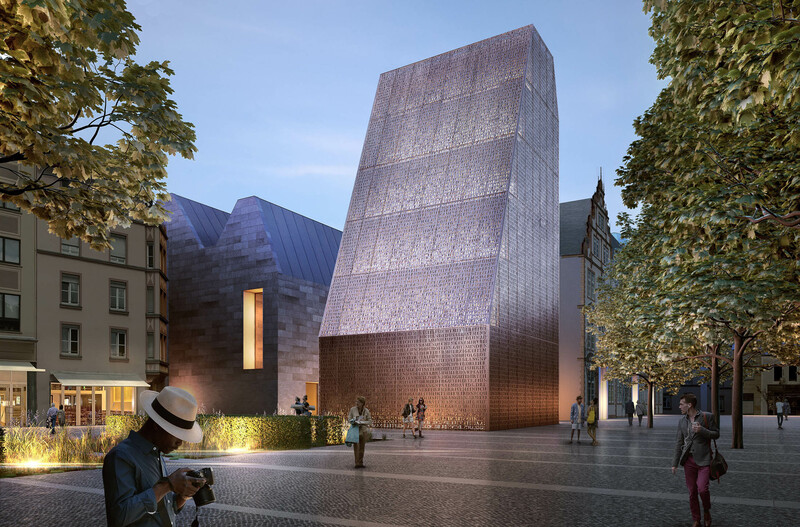 The facade, consisting of a copper sheet of bronze alloy and perforated with randomly placed letters is reminiscent of the work of Gutenberg, while the transparency of the facade gives the building a distinctive depth that creates a different atmosphere depending on the time of day. 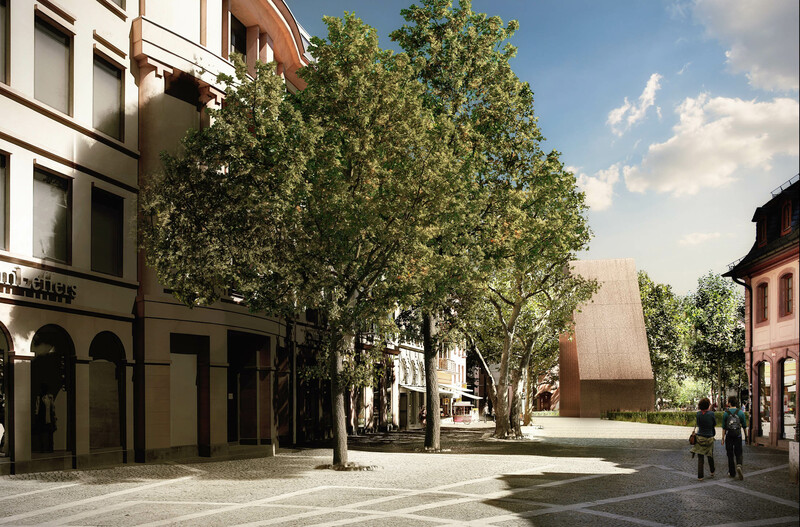 With its location direct at the Liebfrauenplatz, its sculptural appearance and materiality, the building has a striking long-distance impact on passers-by, making it the focal point of the new quarter. 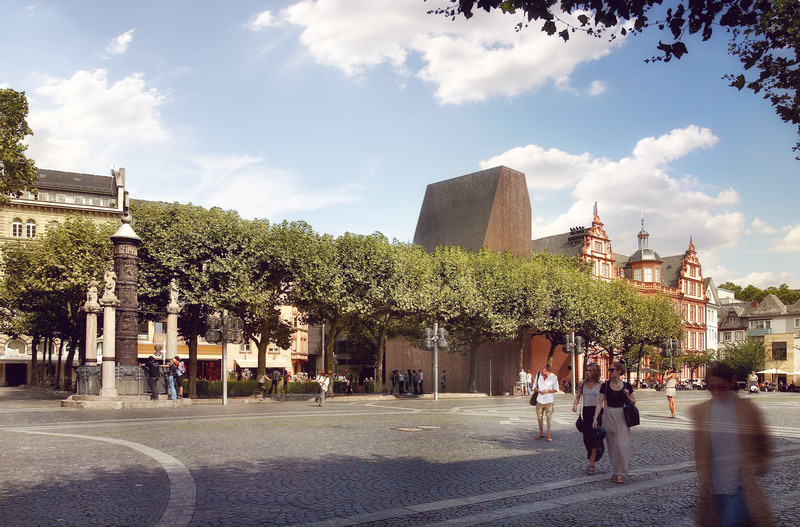 The new roofscape of the Schell building houses an extended auditorium, while the future main entrance of the Museum is located in a structural extension to the south.